He was selected from a global pool of 400 candidates to join the small multinational team of mediation experts. Arai credits Mason’s School for Conflict Analysis and Resolution (S-CAR) and his extensive experience in the conflict field as preparing him for the position. 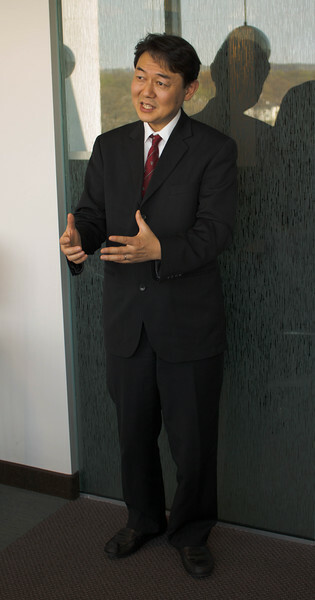 Tatsushi Arai, PhD Conflict Analysis and Resolution ’05, is a senior mediation adviser with the UN. While a career in academia remained essential for Arai, practice in the field was equally important to him. He had already established himself as an accomplished practitioner with extensive experience for Japanese and international nongovernment organizations in Africa. After earning his PhD at Mason, Arai spent well over a decade in applied peacemaking, working in Nigeria, Lebanon, Myanmar, and Afghanistan, as well as on a Sino-Japan conflict in the South China Sea with fellow Mason alumnus Zheng Wang, PhD Conflict Analysis and Resolution ’05. Being what he called “a peace envoy for the world” is as rewarding as he hoped, maybe more so. “It’s a wonderful experience to be able to have your knowledge translated into concrete opportunities where world leaders of action hear your ideas,” he says. Hear Arai discuss his work in this TEDx TALK.